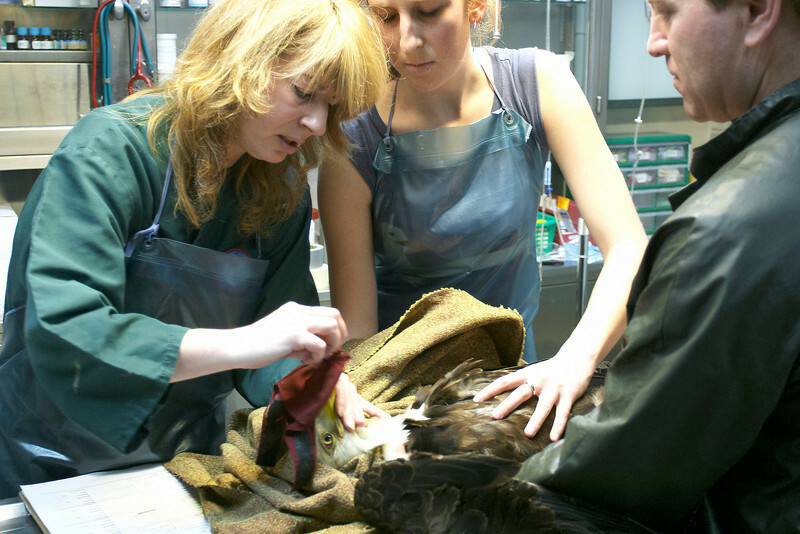 Volunteers at Bird TLC in Anchorage, Alaska prepare to examine an eagle. The gal on the left is placing a hood over the bird's head to help calm the bird during the exam. This bird was involved in a fish processing plant accident on Kodiak Island where approximately 50 eagles became entangled in fish guts and slime that was on a truck. 20 eagles drowned in the slime. 30 some eagles were shipped to Anchorage to be treated at the rehab center.